So true, isn’t it? Christmas is an entire experience in itself, and encompasses a great range of positive emotions, like generosity, love and compassion. 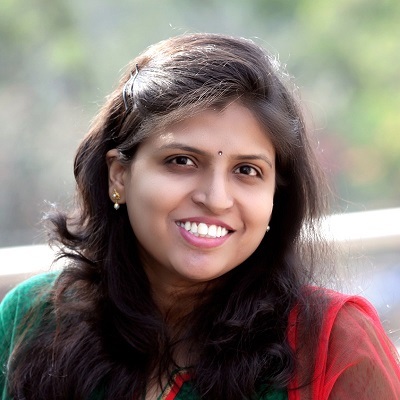 Focusing only on the commercial aspect of the festival deviates from the true spirit of Christmas, which is also a time meant for family bonding. 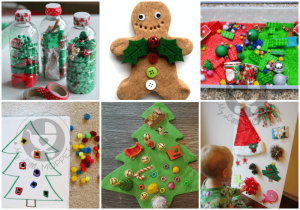 If you have little toddlers at home, a great way to bond with them during the holidays is by doing crafts! 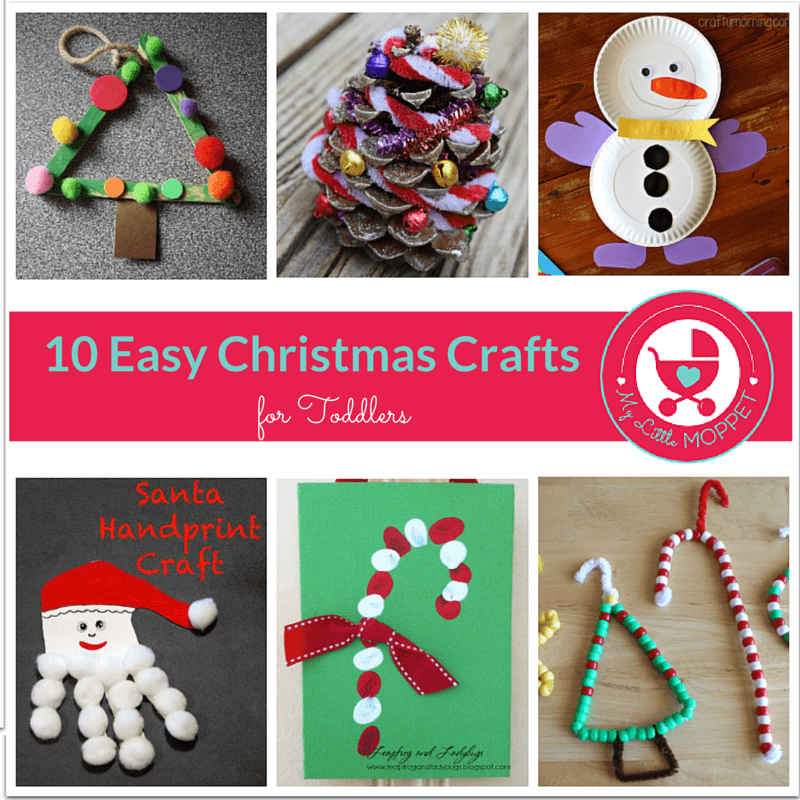 So here we have 10 last minute Christmas crafts for toddlers, that are easy to make with basic craft supplies. So get crafting! 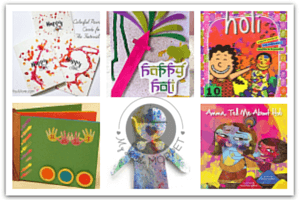 Toddlers love sticking stuff, which is why collages are so popular with this age group! 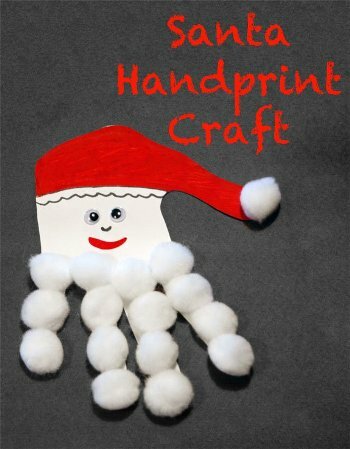 Try making this Santa handprint craft from Someday I’ll Learn, that uses multiple textures in a simple Santa collage. By now you’ve already probably finished wrapping your gifts, and have bits of scrap paper left over. 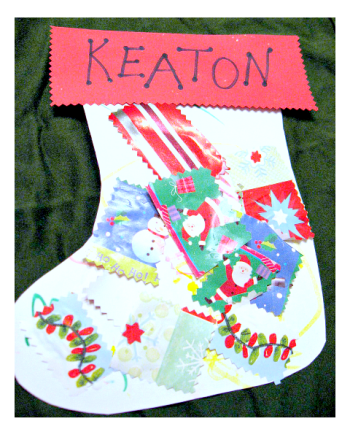 Put them to good use with this fun and easy scrap paper stocking craft from No Time for Flash Cards. 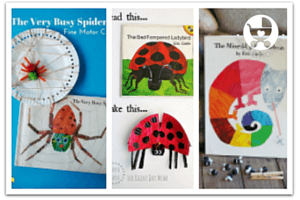 This craft from Crafty Morning is a great one for after the Christmas party, when you have a few paper plates left over. 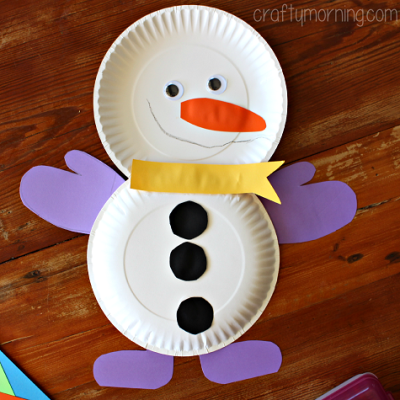 With some colored paper and googly eyes, you can make a really cute paper plate snowman that you can hang in your child’s room. 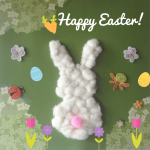 This is a fun craft from Happy Hooligans that uses a few different techniques like sticking, painting and tying. When your tree is ready, hang it on a prominent spot on your tree – your toddler will be so proud to see his creation hanging centrestage! Toddlers may not have the fine motor skills to handle a brush and paint fine strokes. 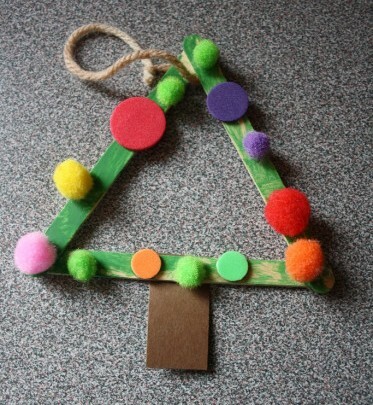 It may be easier for them to use broader ‘brushes’ like pom poms to paint, like in this pom pom Christmas tree craft from Fantastic Fun and Learning.  This is an excellent craft for toddlers to exercise their motor skills, with impressive results! 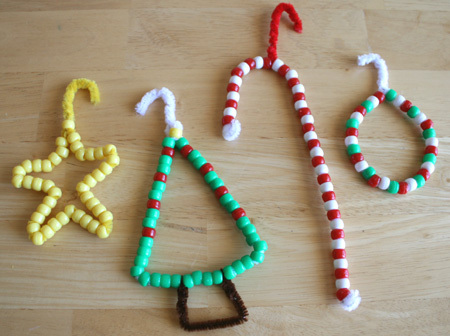 All you need are pipe cleaners and beads; show your toddlers how to thread them and watch them get addicted! Winters are incomplete without hot cocoa, topped with marshmallows! 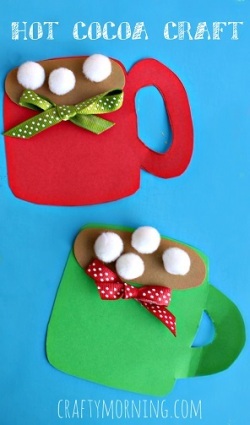 As you get Christmas dinner ready, let the kids stay busy by sticking on pieces of colored paper and pom poms to make these cute little cocoa mugs from Crafty Morning. 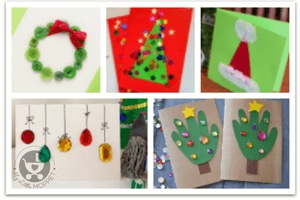 This is also a good activity to occupy the kids at your Christmas party. This is one gingerbread man who won’t get up and run away! 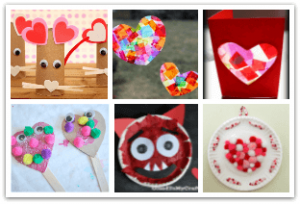 This craft from Happy Hooligans is simple, but may require a little more time, with a little more mess! With some paint and some new techniques, toddlers will be delighted at their creation! 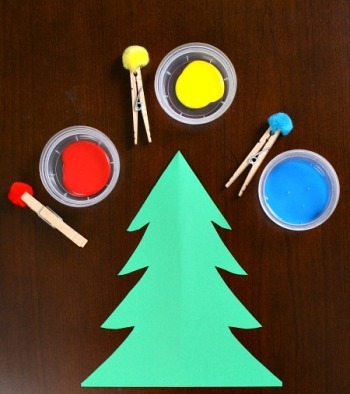 These cute little Christmas trees from The Simple Parent are easy to make, but will still test your toddler’s skills! 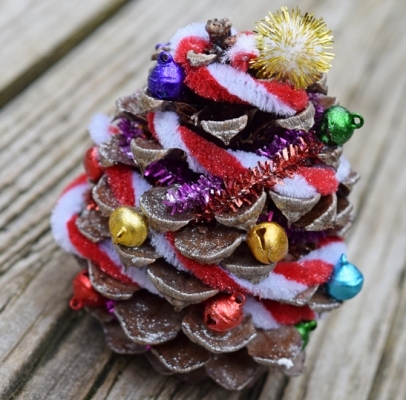 Hand the kids some pine cones, pipe cleaners and pom pom balls and let them let their creativity loose! 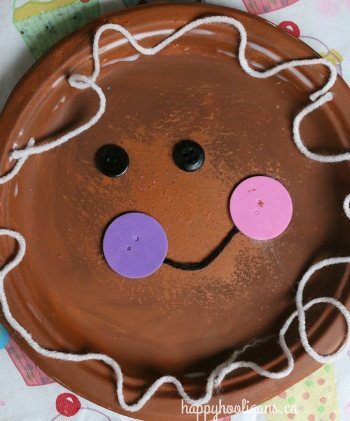 This is one of the simplest crafts your toddler can make, and also makes a great keepsake gift for grandparents! 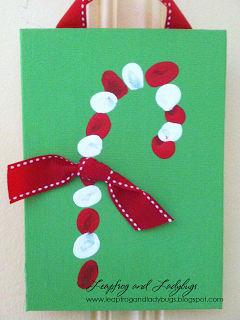 At Leapfrog & Ladybugs, you’ll find a step by step tutorial for making this colorful thumbprint candy cane craft. 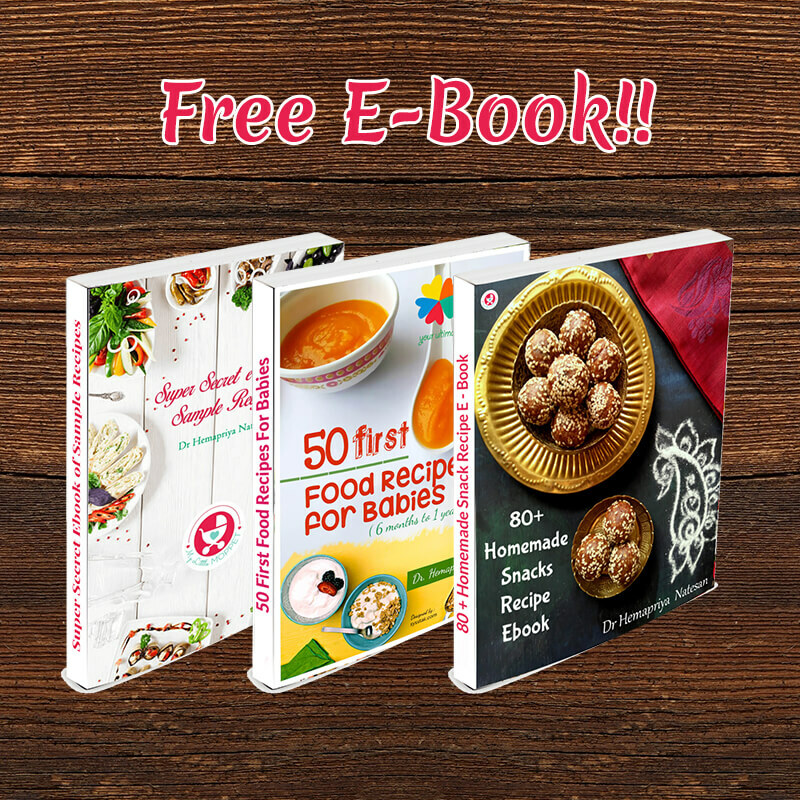 Aren’t these really easy to make? 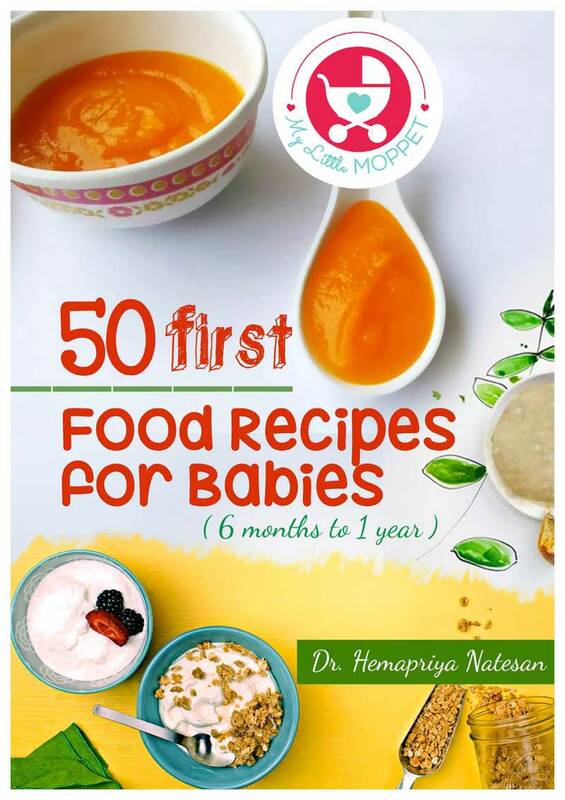 And the best part is that you only need basic supplies, so no last minute rushing to the craft store! Just spread a lot of newspaper on the floor, gather everything you need and get crafting!